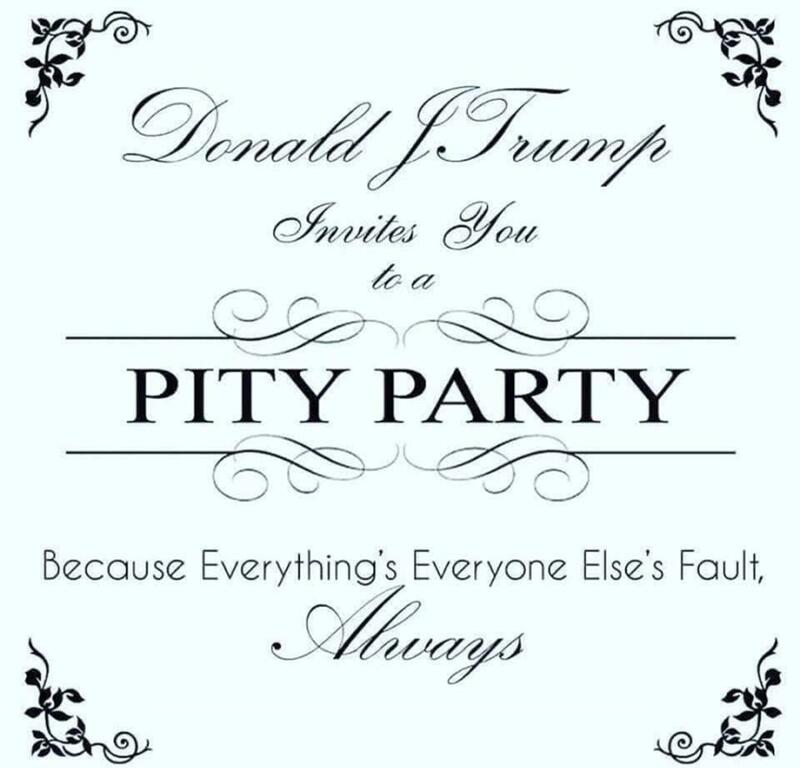 Sure, I'd prefer a Drag Him Out In Chains party but I bet there will be lots of trays and trays, tremendous trays, the best trays, chock full of hamberders and cold soggy fries we can all pelt him with. Make the big orange obese baby man cry, cry, and cry until he drowns himself in his own tears. Lordy, I hope Kellyanne and Stephen Miller are there, too! 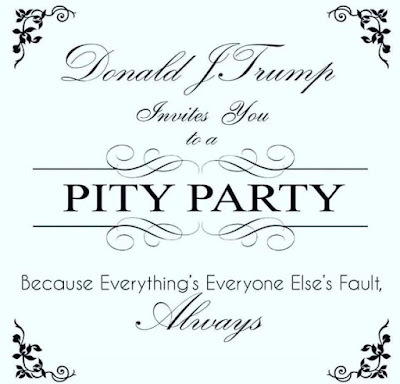 what is trump charging for the privilege to enjoy his wallowing in self pity? 6:15, the cost is only the future of the planet. Rich, then the democraps are having their own party in the adjoining ballroom? No, 1:45. They are wearing the server attire and working "across the aisle" to ensure the pity party is a success. What Does Kushner-In-Law Do In The Regime?